﻿ How to Play - Keno Casino - Your Best Bet! Choose anywhere from 1 to 15 numbers. Write the number of games you wish to play and the amount you wish to wager per game on your bet slip. 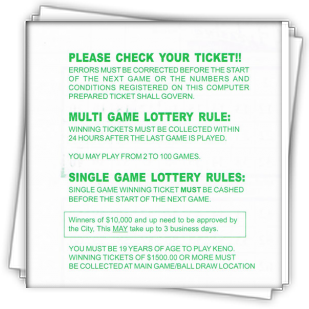 Tickets may be purchased in increments of the minimum wager per game up to a maximum of $100. 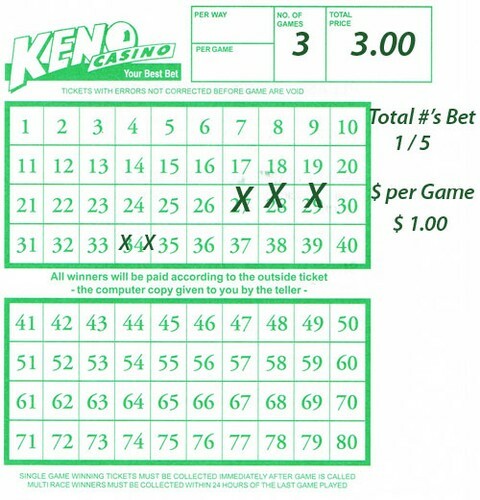 Give your bet slip to a keno writer and in return you will receive a computer generated ticket showing the wager you made. Always check your ticket! 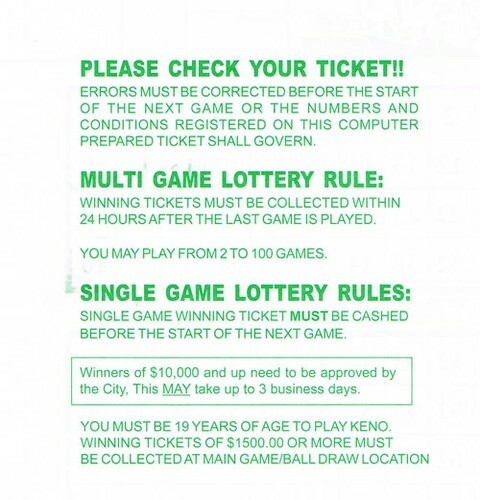 The keno writer is NOT responsible for errors. Watch the game board. Twenty out of eighty numbers are selected each game. The amount you win depends on the type of wager made and how many of the numbers that you picked were selected. Tired of making decisions? 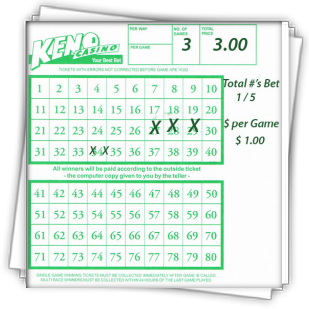 Ask the keno writer to get you a "Quick Pick" which allows the computer to pick the numbers for you! If you have any other questions, ask our friendly keno staff. Remember to never bet more than you can afford to lose. The last game will always be called before 2:00 A.M. (State Regulation). Winning Tickets can be cashed in until 1:45:00 A.M. (11:45PM on Sundays).